Beautifully handcrafted with delightful attention to detail, Jim Shore's charming design captures the essence of the beloved Disney characters. The figurine is made from resin. Packed in a branded gift box. Unique variations should be expected as this product is hand painted. Not a toy or children's product. Intended for adults only. 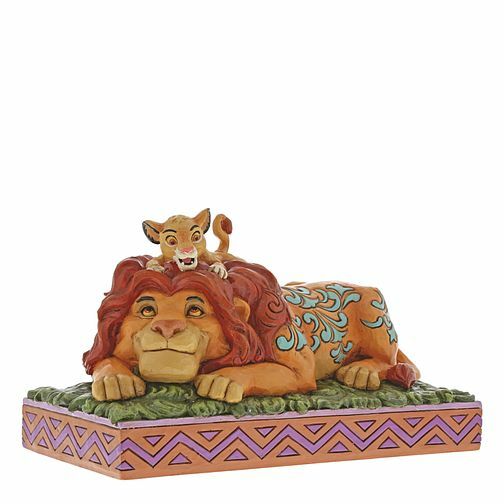 Disney Traditions The Lion King Mufasa & Simba Figurine is rated 5.0 out of 5 by 5. Rated 5 out of 5 by Anonymous from This has great detail and colour This was bought for my grown up daughter. The picture of this ornament was 'our' picture when she was younger. We are both delighted that this was brought out, and even more delighted just how good it looks.